Physicists at Vanderbilt University have proposed a theory that the Large Hadron Collider could be the first machine capable of causing matter to travel backwards in time, says professor Tom Weiler. 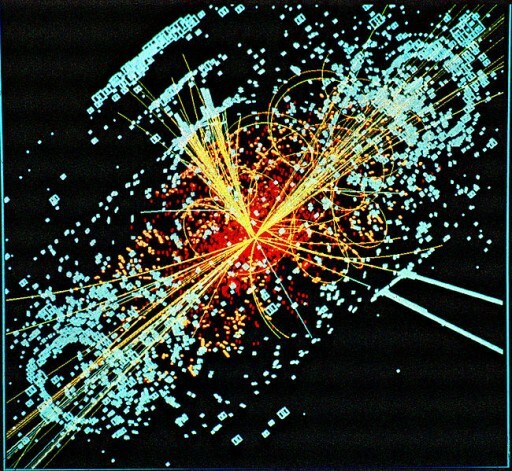 Some scientists predict that if the collider succeeds in producing the elusive Higgs boson, it will create a second particle called the Higgs singlet at the same time. Singlets should have the ability to jump into an extra, fifth dimension where they can move either forward or backward in time and reappear in the future or past. According to the theory, hypothetical particles called sterile neutrinos travel faster than light by taking shortcuts through extra dimensions in 10- or 11-dimensional space. Einstein’s general theory of relativity predicts that there are certain conditions where traveling faster than the speed of light is equivalent to traveling backward in time. The test of the researchers’ theory will be whether Higgs singlet particles and their decay products spontaneously appear. A paper on their work by Tom Weiler and Chui Man Ho appeared March 7 online on arXiv.org.